Roseraie de l’Hay is a rugosa rose introduced in 1901 and was named for the French rose garden of the same name. I have several of these beauties in my Zone 5b garden. 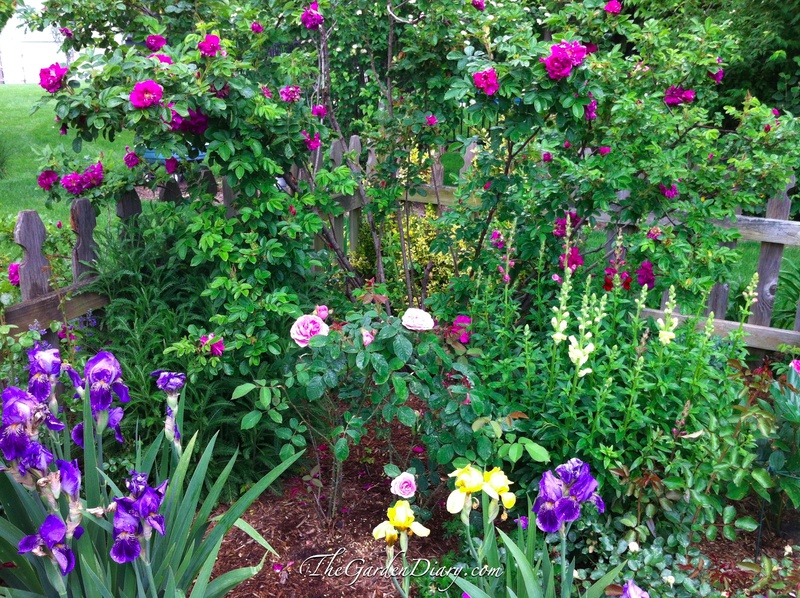 When these roses are blooming our entire garden is filled with their beautiful fragrance. If someone new visits our garden during this time, the first question is always, What is that? In addition to beauty and fragrance, the upside to rugosa roses–they are tough, trouble free and need very little maintenance. 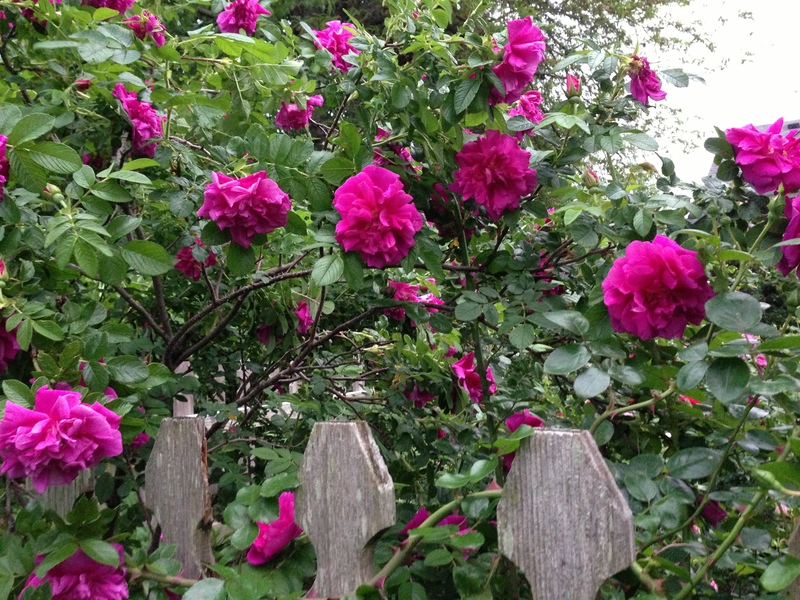 But, you need some room because these beauties grow to be around 6′ X 5′ in my garden. An extra bonus … rugosas produce large red-orange rose hips that are very high in Vitamin C and I am told make great jelly. We just let the birds enjoy them. 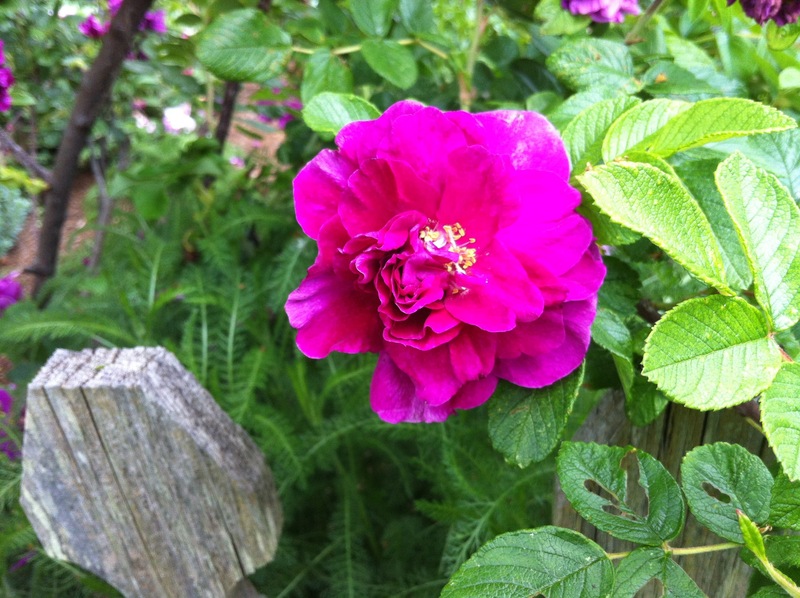 Roseraie de l’Hay is a good repeat bloomer for me, but nothing compares to that first bloom of early summer. 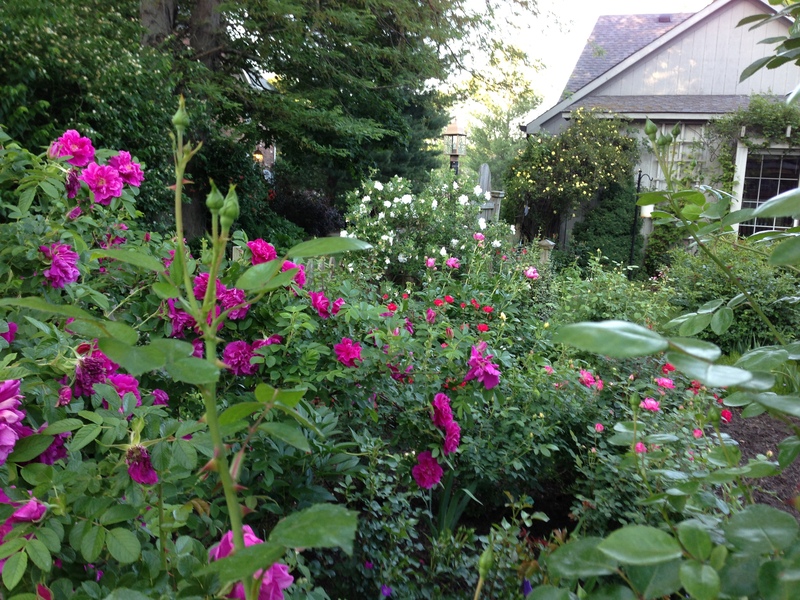 I forwarded you blog to my neighbor who is rose crazy and does a nice job with a multitude of Knock Outs. She will flip and perhaps be inspired to try more of your varieties. Rain beginning here this morning. I am ready. wow pretty flowers, by the way what is that beautiful yellow climber you have in the backround of the second picture? does it die back in winter? Hi, we just planted a Roseraie de l’Hay. Does it bloom all summer long? Also, to have hips, should we avoid dead heading? I’m new to gardening and love the idea of hardy flowers!